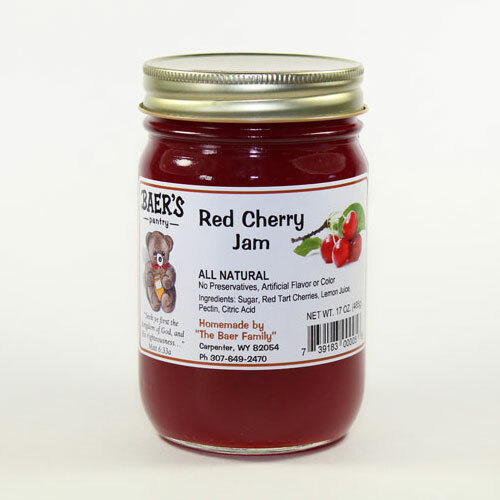 Old fashioned country cooking in 16 wonderful flavors. It’s not just Jam! 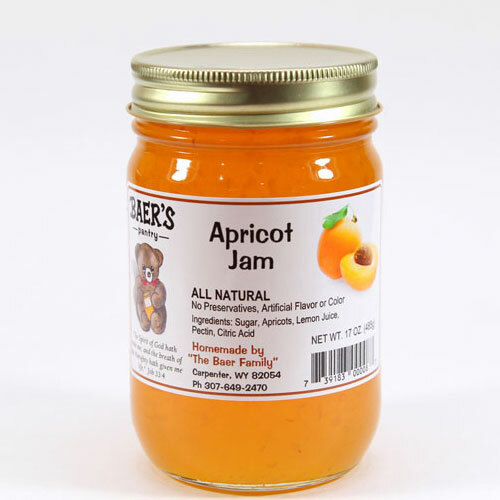 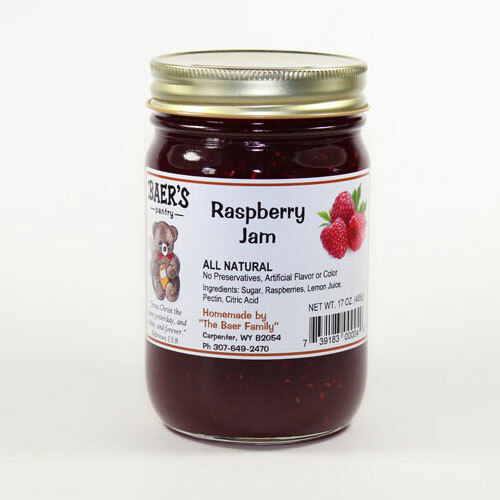 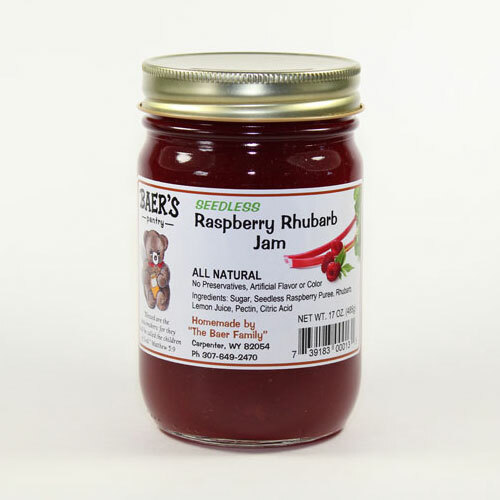 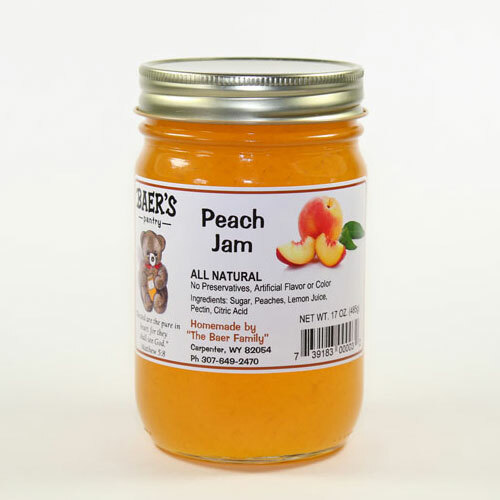 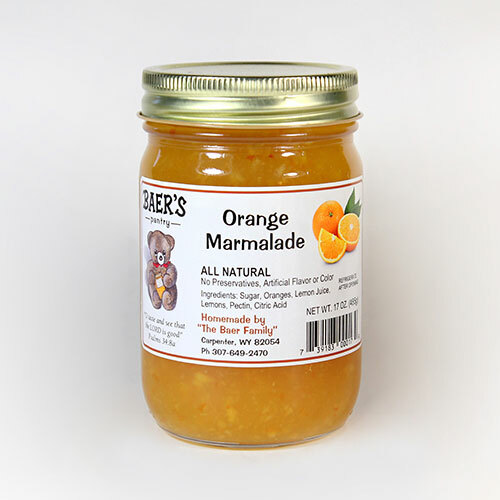 Baer’s All Natural Homemade Jam is an exquisite, time saving condiment for the modern cook. 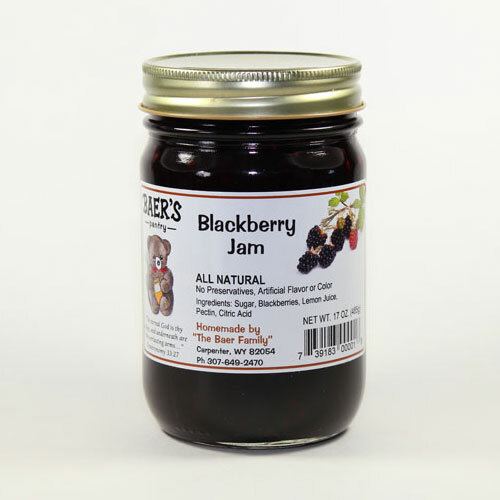 • Handmade in a State Certified kitchen. 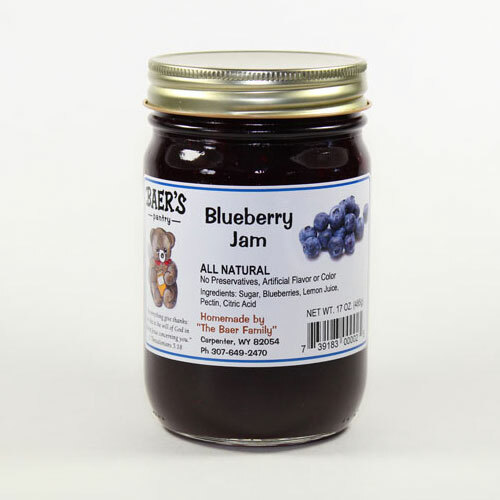 • Try Blueberry Jam on a banana split. • Make a Strawberry Jam sundae. 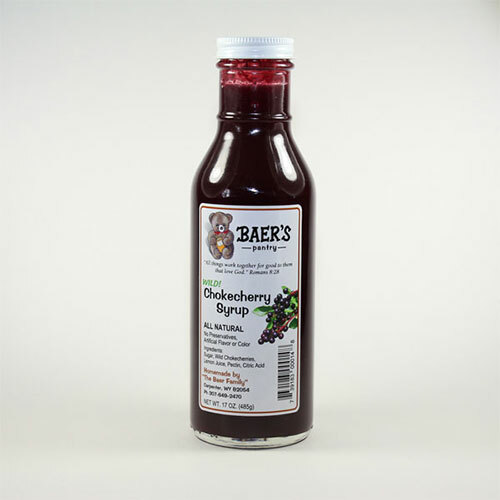 • Marinate steak in Chokecherry Syrup. 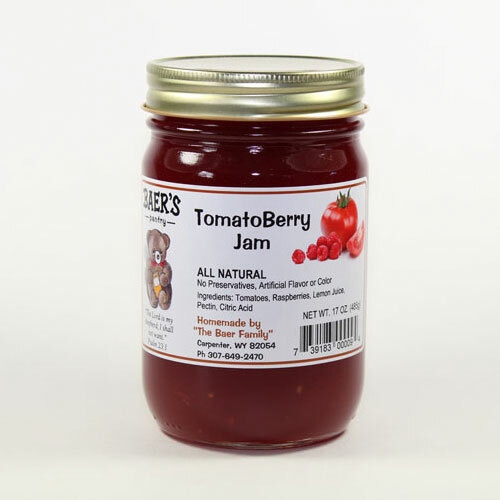 • Glaze baked chicken pieces with Peach, Jalapeno or Tomato Berry Jam. 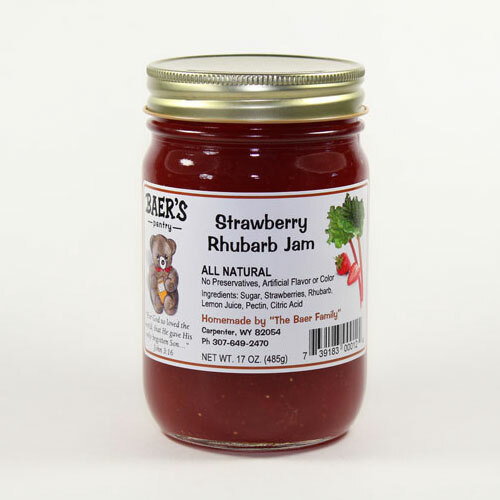 • Add vinegar to Tomato Berry Jam for a dipping sauce. 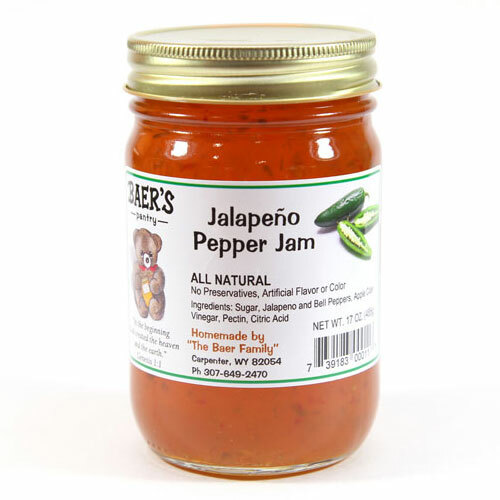 • Snack on crackers with Jalapeno Pepper Jam over cream cheese. 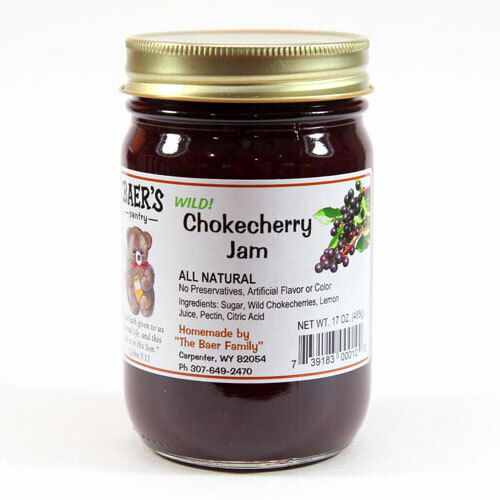 Chokecherry Jam is our bestseller. 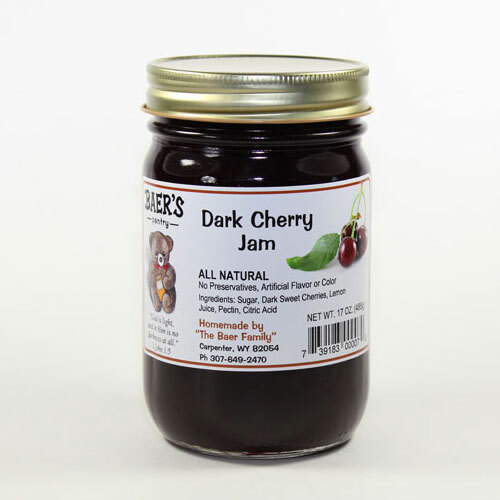 Experience the bold, unforgettable flavor of wild chokecherries handpicked in Wyoming and Montana. 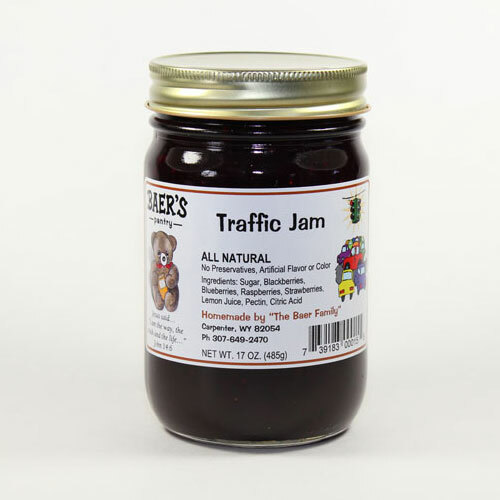 Shipped by USPS Priority Mail only, in the continental USA.